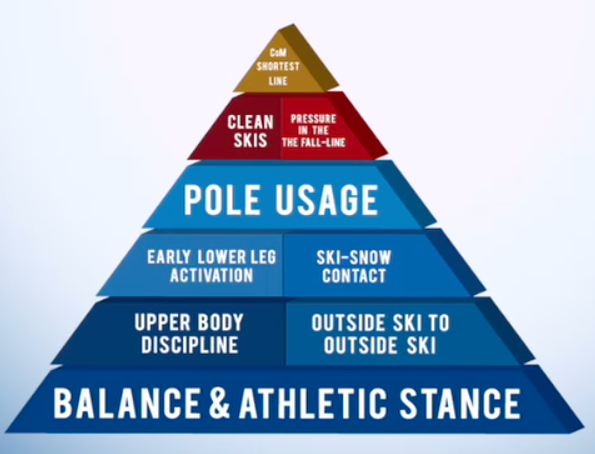 Memorize the US Ski Team Fundamentals Pyramid. ​​Understand and execute the technical skills that constitute each block of the pyramid--you are learning these in practice. Know and utilize two to three free skiing drills that develop the fundamental skills of the pyramid--you are performing these in practice.